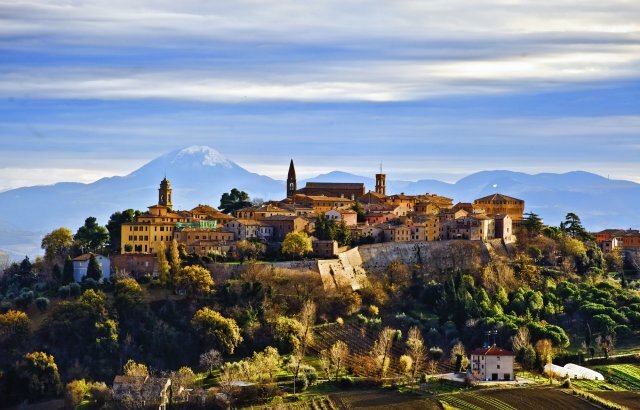 Located on a hill 3.4 km from the crossroads of S. Michele al Fiume on the state road that goes up the Cesano valley, the ancient 'castle' dominates the panorama with its towers and bell towers and with the picturesque city walls flanked by the mighty fortress Rovere. At the origin of the place, once a solitary and wooded place, there was only the convent that St. Francis had built on a land donated to him by the Ricci family. 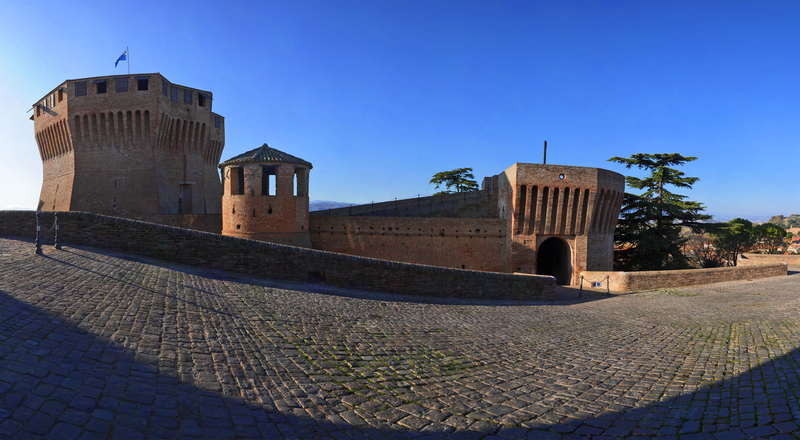 Later on (14th century) the inhabited area is already a 'castle' that has imposed itself on the surrounding castles, giving rise to that vicariate which, recognized by Cardinal Egidio Albornoz (1355), had a long life, first as part of the territory of the Fano committee, with jurisdiction over eighteen castles, and then as a Malatesta feud. 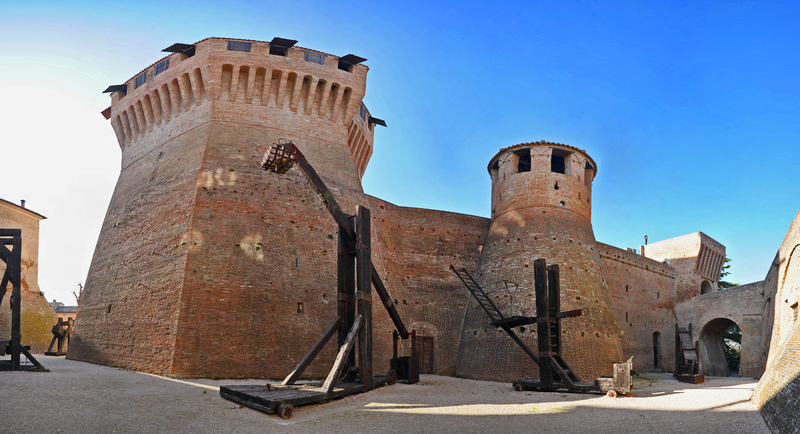 In 1474 it was ceded by Pope Sixtus IV to his nephew Giovanni Della Rovere who commissioned Francesco di Giorgio Martini to erect the imposing Rocca Roveresca which today houses within its walls a Museum of historical re-enactment and a rich Armeria. Until 1631, together with the territory of the ancient vicariate, expanded to include twenty-four castles, it was then aggregated to the Duchy of Urbino. Within the walls, on the square and along the characteristic alleys, arise the severe Palazzo Comunale, the ancient church and convent of St. Francis, with large cloister arches, renovated in the century. XVIII, and the collegiate of Saints Peter and Paterniano, rebuilt by Bartolomeo Genga in the sec. XVI and enlarged in the sec. XVIII. Undergoing restoration is the small Apollo Theater, equipped with three orders of boxes with pleasant period decorations (19th century). A historical re-enactment that for many years has attracted numerous foreigners is the so-called 'Wild boar hunt', supplemented by a 'Renaissance banquet', made lively by the 'Gioco dei ribbons' and by the participation of the 'Group of historical archers'.